I have been a fan of Sarah’s work for quite a while, and her brilliant The Language of Dying remains one of my fave reads over the last few years (reviewed elsewhere by me on the BFS website). Indeed, Language is one of the very few titles I have gone back and re-read at least twice — no mean feat when my bookshelves are already bulging with other goodies begging attention. 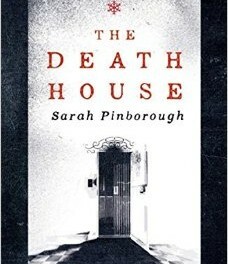 From the moment I first heard about The Death House (originally titled Stay With Me back then if memory serves), I suspected it would be another great break-away Pinborough tale on a par with Language — not always the easiest to classify, but definitely taking her writing up another notch and tackling deeply personal topics with warmth and candour. 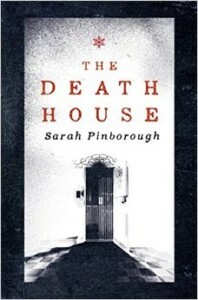 In a nutshell, The Death House is a place where terminally-ill children go to die — set on a closed, not-so-idyllic island, the majority of the story takes place in the dormitories and grounds of the title. 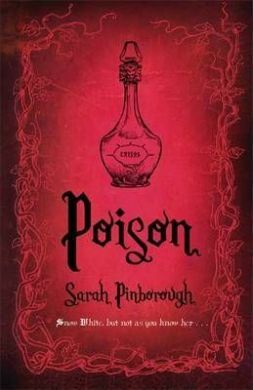 Whilst it’s never really made clear in the story, through some deft flashbacks and the memories of the lead character, it’s clear that this is a typically dystopian future in which children who are found to be carrying a particular Defective gene are immediately snatched from their loving families and brought to live out their days with others similarly afflicted. Toby is a slightly older teen brought here to die, and through his eyes the underlying sense of doom and gloom, of boring repetition, of being hemmed in and constricted daily is brought horribly and vividly to the fore. All credit to the author, you can feel this place and all the misery that soaks through its walls — the dour Matron and her haughty demeanour; the empty hearts of the nurses, the cooks, and delivery agents; the impending deaths of the children; all of it is made so very real. Whether intentional or not, there are references to both Narnia and Lord of the Flies which seem particularly pertinent to what’s going on within the Death House sub-communities. While Toby and Jake stand as the two group leaders from different dorms, there are several sub-characters living out their own tales in the best way they can — Ashley turns one of the rooms into a church of sorts, and tries to offer a glimmer of hope for some of the children, while the bond between Will and the ever-smartass Louis is powerfully constructed, while still others get by on the coat-tails of the bigger characters. Into this harsh, unforgiving environment comes Clara, an attractive free spirited girl who immediately racks up the tension between the two leaders as she flirts with both and brings a lot of much needed joy and fun to the place. At the risk of spoiling things, needless to say Toby and Clara do get together, and very soon she is teaching Toby and the rest of them that it’s not how you die that matters, it’s what you do with all that precious time you have when you’re alive. That in a nutshell, is the core of the tale being delivered here, and it’s done so with great style and substance. There are curveballs and plot twists galore, and more than a handful of tear-jerkers as the story progresses, but all of it is crafted with a care and attention to detail that defines what a good narrative and cracking tale it really is. This comes so highly recommended, and it’s well worth taking advantage of the fabulous pre-order offer now available for Kindle users via Amazon.co.uk.